5- 30 seconds after, the fuse of my electric switchboard blows ! It was the capacitor – completely dead !!! Specialized electrician has checked all the wired, all is ok. 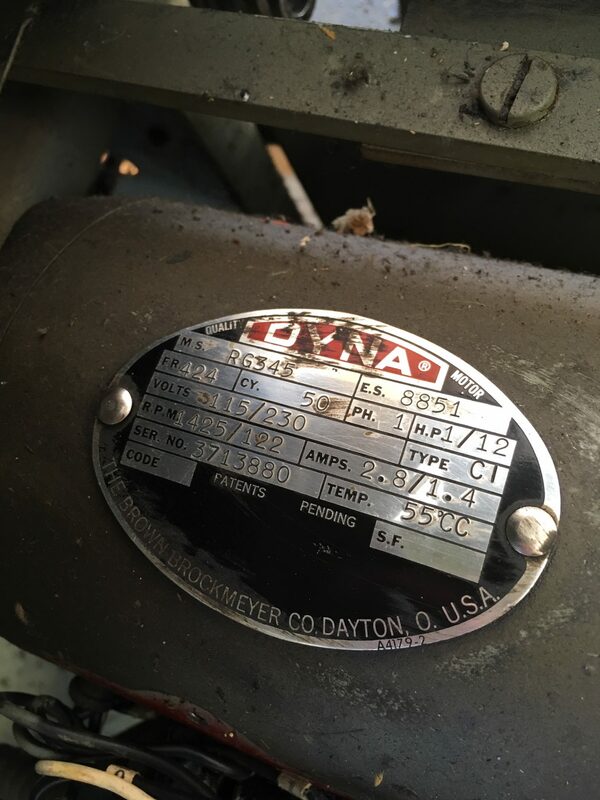 I don’t have info on a Dyna motor. I only have a pdf for a Reliance motor which is found on a large number of SP15 sold for the North American market. There’s an SP15 in Amiens. I will contact the owner on your behalf. Marshall Henderson posted a potential problem on Briarpress – you might look – an electrical shop can fix that problem if he is correct. Paul gave me the same explanation. The press print in France since 60 years, so i will bring the motor to a repair shop – i think it’s the first thing to do ! Is the problem new or is the press new to you? If the press is new to you, sounds like its not wired correctly for the 220v current in France – I would stop trying until you have it checked for wiring. The motor you have can run on either 110v or 220v, but the electrical wires to the motor are hooked to the motor differently depending on which power you are using. An electrician can solve this for you. If you have had the press for awhile and the problem is new, then take the motor to a small electric motor shop and have it rebuilt if possible – you will get a perfect match with a rebuilt v. a reasonable match with a new motor. You in Paris? I love Paris and the 7th! You can take it to a small motor repair shop who may be able to repair it. Or you can use the specifications on the motor label to search for a replacment. But if you do this it must have a right angle gearbox shaft. Thanks for your answer Paul. I enclosed a photo of the motor. I think this press was built for export because there is a plate on it with the french enterprise with use it from 1963 ! Can i find “new” motor for SP15 ? Your press may not be wired for French electrical requirements. Originally, it would have been if it press was built for export to France. However, it may have arrived there through resale from another country. 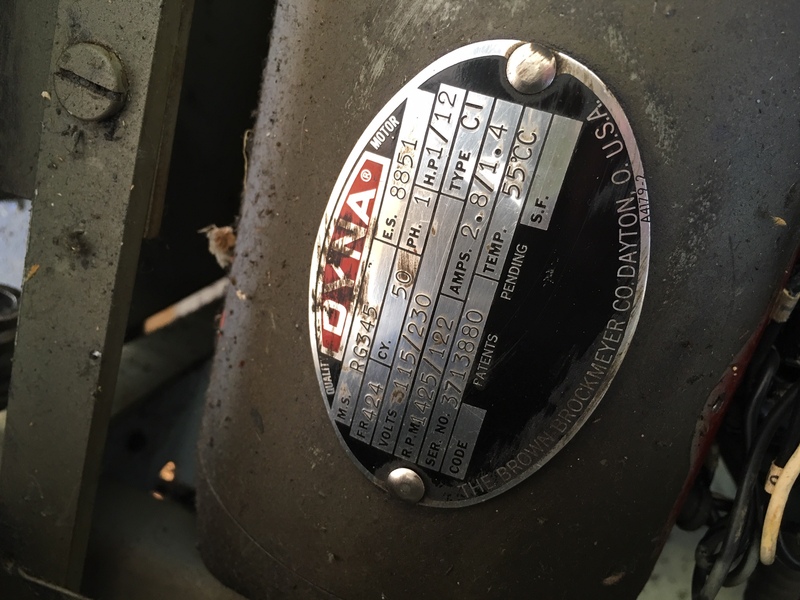 The motor, if original to the press (1962) is now 56 years old and may be dying.